The Dillin Angle Accumulator can solve unique accumulation issues where standard accumulators may have difficulty. This accumulator can handle heavier, mid size cartons, to larger items like cases or reams of paper. Dillin’s Angle Accumulator is an economical alternative to the ROE-LIFT® Over-The-Top® design while maintaining many of the same features and benefits. 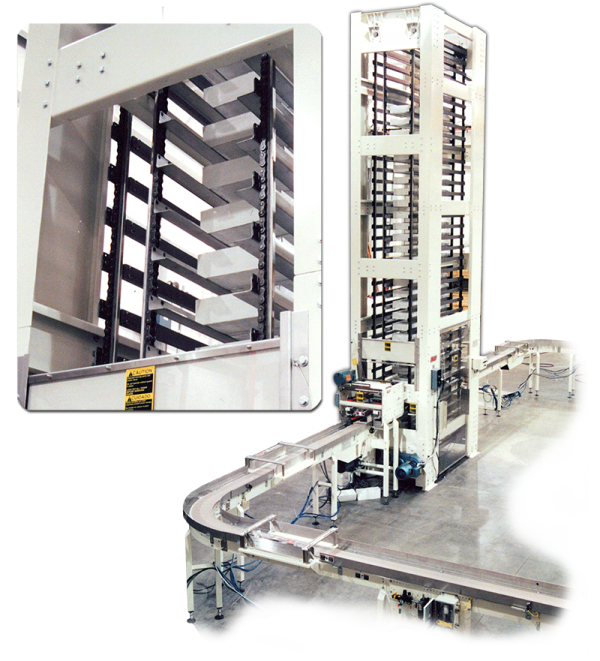 This Angle Accumulator can be integrated with Dillin’s full line of products and controls to provide a stand-alone piece of equipment or a complete, customized system. Small footprint that is economical for heavy duty applications.